Jared Unzipped: What's The Difference Between Zucchini and Squash? What's The Difference Between Zucchini and Squash? 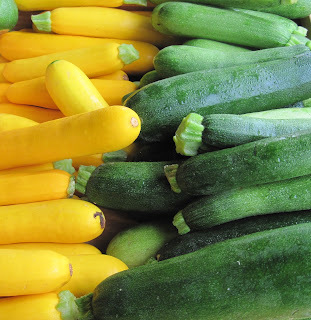 What's the difference between zucchini and yellow squash? Honestly, there isn't much difference at all. Both zucchini and squash belong to the genus Cucurbita. Zucchini is usually green, but some hybrid varieties are golden in color. They're both fruits, being that their seeds are contained within their flesh. While yellow squash comes in a few different shapes (scallop and crookneck, for example), zucchini is for the most part tubular in appearance. Yellow squash usually has more seeds than zucchini. These seeds will grow larger and firmer as a yellow squash increases in size. Thereby, it's generally recommended that yellow squash be picked when it is six to eight inches in length. Zucchini, with its fewer and smaller seeds, should be picked when it is eight inches in length. In terms of flavor and application in recipes, yellow squash and zucchini are interchangeable. Some claim to detect a slightly more buttery flavor with yellow squash, but I've never noticed this difference in taste. Both can be used in a stir fry, cut raw for a salad, tossed in a pan and sautéed or steamed. 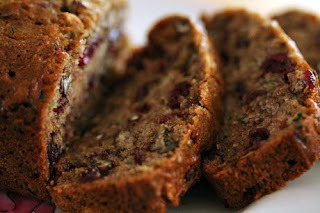 You can even use them in baked goods -- they go perfect in spiced bread loafs! Now... aren't you glad you know more about zucchini and squash?